My father has two siblings: an older brother and a younger sister. Both married and moved away from Chicago, where I grew up. But since my grandparents were also located in Chicago, my aunt and uncle always came to us for the holidays. Even though their spouses both celebrated different holidays than us, it was a time to be together. That changed once I got to high school and college. They had developed friends and family in their new hometowns. Now, my aunt's birthday is on Christmas Day, and one year in high school I decided to go out to Colorado for her birthday and Christmas. I have only missed a year or two since. It has become a tradition to go celebrate Christmas and my aunt's birthday in Colorado. I mentioned in my Chanukah blog that the stereotype for Jewish people on Christmas is to go to movies and eat Chinese food, and also lamented that I don't enjoy Chinese food. Now I can go feast with my family on some of my favorites. I'm not just in it for the food though. I've developed relationships with my aunt's husband and his family. They count me as one of their own now. I guess the point of this story is that no matter your faith, holidays can have a special meaning for you. Even if you didn't grow up celebrating it. For me, celebrating Christmas with my uncle's family has become tradition. In today's politically correct world, you'll be told to wish people a Happy Holidays. For me, there are some very special people that I love hearing Merry Christmas from. I can't be the only one. 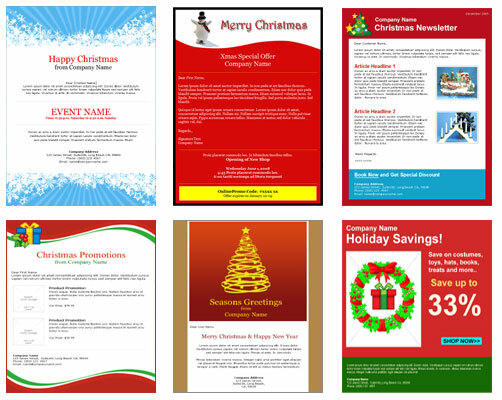 For those that want to be wished a Merry Christmas or do some wishing, we have Benchmark Christmas email templates. Here's a recipe for chocolate chip cookies from one of the contestants on Top Chef: Just Desserts. It was so good, world renowned pastry chef Sylvia Weinstock requested the recipe. Leave them for Santa...or me (recipe courtesy of bravotv.com). 1. Cream the butter, sugars, eggs together then add the vanilla, salt and baking soda. 2. Scrape the sides and add the baking powder and flour. Mix till incorporated and add the walnuts and chocolate chips just till mixed. 3. Scoop and bake at 345°. Nice designs. I can't emphasize enough how important it is to once in a while change the templates to reflect a holiday or special event. Can't wait to try the cookies. Thanks.